We have proudly served the Coldwater community since 1974. We have proudly served the Coldwater community since 1974. Throughout this time, we have maintained, nurtured and enhanced a tradition that forms the very foundation of our approach to delivering our services to our families, friends and neighbors—a tradition of caring. I am 100% satisfied with my rehab stay at Briarwood Village. If it wasn’t for the wonderful therapy I received, I wouldn’t be where I am today; it’s the best therapy I’ve ever received and I can’t say anything bad about it. If there was anything I needed or wanted, the nursing staff took care of it immediately and they were all very nice. The meals were great too. Overall, my rehab stay was better than I anticipated. Briarwood Village is definitely the place to go for rehab and I recommend it to anyone before going home from the hospital and trying to do it on your own. When I was able to go home, I was much better off. Going to Briarwood for a short rehab stay is a much better choice. They treat me very good here at Briarwood Village. The people that work here and the care I receive are excellent. The new facility is great! I love it! I have my own private room which has allowed me to personalize my room with my Coldwater memorabilia, and to have much more privacy. I even have my own shower. At Briarwood Village, there is always someone that will listen to me and help me out in any way. Overall I am more than satisfied with Briarwood Village! In Assisted Living, your doors are closed like your home, but if you’re like me, I open my door – it is whatever you make it. It is a beautiful establishment, it is very comforting and it makes you feel at home. You bring your own furnishings which makes it feel homey. The staff is beautiful too, whatever need you have they provide it. I enjoy the socialization here. There are always plenty of games, cards, and religious activities available to participate in throughout the day. My apartment is just like home. I have all my own furniture and I’ve decorated it to my liking. I have my own patio which I enjoy as well as all the outdoor walking paths. I really enjoy Briarwood Village’s Independent Living. Briarwood Village is the ‘cream of the crop’ of nursing care. It is top of the notch on living quarters; it has a nice home appearance and feel. The large resident rooms are very spacious and allow for personalization and a nice homey atmosphere. The staff is just great. 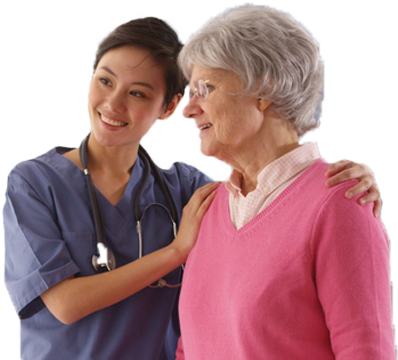 If you need anything or want to speak with a nurse regarding your loved one, they will find and tell you what you need. All staff members are helpful and pleasant. The activities and programs in Willow View keep the residents going and active; you won’t find them sitting around. The therapy and rehab at Briarwood Village is also the best in my book; they’ve helped me and my family in so many ways. To me, Briarwood Village is premiere; you can’t find a better place for your loved one.